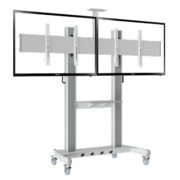 Fit Most 40″-60″ Flat Panel LED, LCD TV. 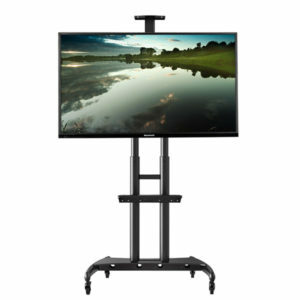 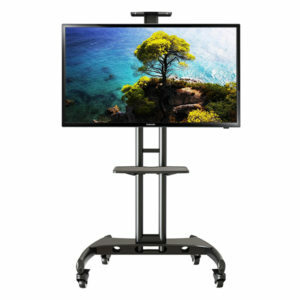 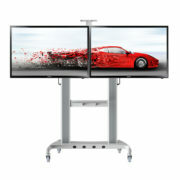 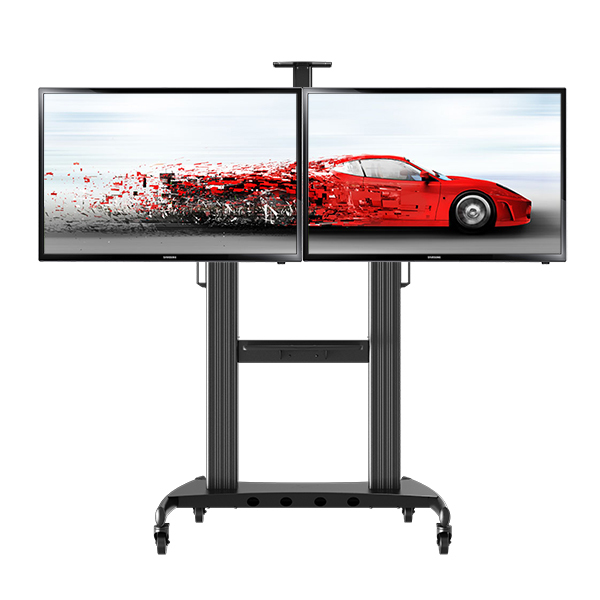 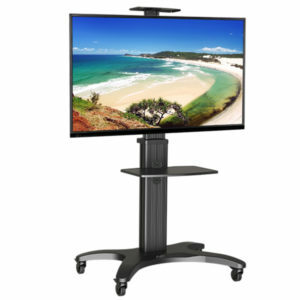 This unique nice looking mobile display stand AVT1800-60-2A is designed to provide solutions to ease your mobility of entertainment, lecture, meeting and conference and exhibition. This innovative mobile display designed include a dual heavy-duty anodized aluminum alloy columns to withstand an overall 2*1524mm (60”) screens and maximum 300 lbs(136.4kgs) weight. 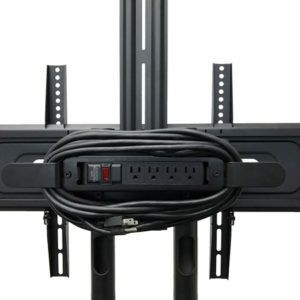 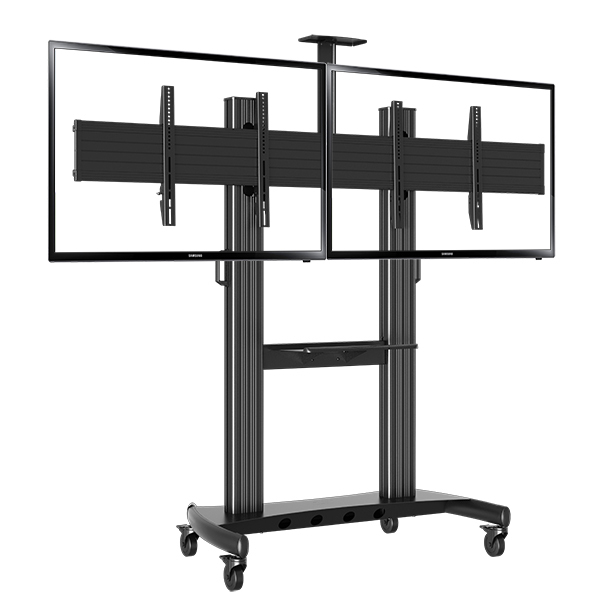 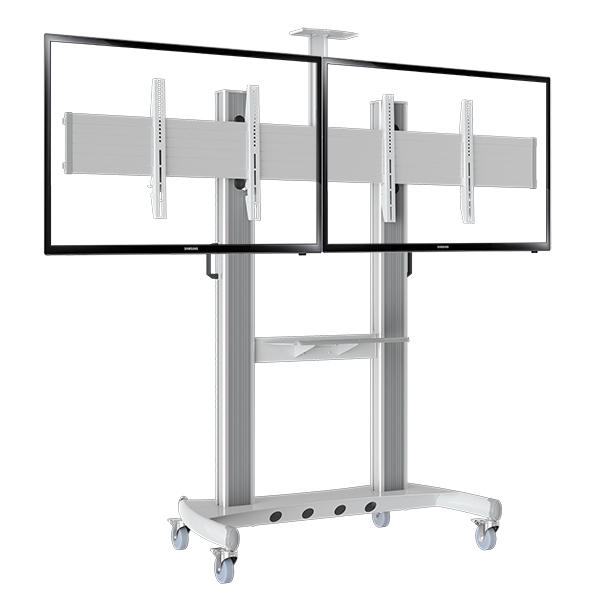 AVT1800-60-2A designed with heavy duty metal broad base construction to ensure stability; TV height adjustment by quick release handles at both sides; Integrated cable management inside columns; Carried up to 220 lbs and 2X 40” to 60” flat panel TV with 4 heavy duty braked castors offered easy mobility or static positions at site.